You post over and over again on your social media accounts but nothing seems to be working for you. Nobody’s liking your post, nobody’s commenting, and people definitely aren’t sharing your posts. Some posts seem to interest people but not enough for you to say it’s actually working to help you reach your business goals or marketing goals. So you decide to post less frequently or just give up altogether since you have other marketing tactics that are working a lot better for you. Does this sound like your situation? For most small businesses, a few small tweaks could help you make social media work for your business or your healthcare practice. Here, I’ve put together the top 10 reasons why social media isn’t working for local small businesses based on my audit of their accounts. If you’re committing any of these faux pas, then it makes sense why you’re not getting any results from posting on social media accounts like your Facebook Page, your Instagram account, or your YouTube account. How many of these problems are you guilty of when you’re posting on social media? 1. You’re posting on social media without having a defined marketing or content strategy. Without a marketing strategy or a content strategy, you’ll have no idea what to post, when to post, and how to post. Your marketing strategy or content strategy is your playbook to help you get the post of your social media accounts so that you can get more interactions, which leads to more clients, and more profits. The biggest problem that most small businesses have when they are posting on social media is that they do not have a defined marketing strategy or content strategy. Your marketing strategy and content strategy is like your playbook that guides what you post, when you post, and how you post. The marketing strategy or content strategy is developed based on what makes you unique (also called your value proposition) and your target market. The idea behind the marketing strategy is that you use different marketing tactics, like social media, to help you reach your business goals and marketing goals. Without a strategy, you’re likely to be overspending on marketing, you’ll be reactive when working on your marketing, and you won’t see any results. If you do get results, they may not be optimal. Have you created your marketing strategy and content strategy so that you can maximize your ROI and marketing time? 2. Posts aren’t being shared, liked, or commented on. Since the latest Facebook update, Facebook is prioritizing content from friends and family instead of content from Facebook Business Pages. This makes sense since Facebook was primarily for people to share their personal lives but as small businesses trying to get the word out there, it makes it hard for small business owners to get their posts seen. Fewer people are seeing the posts so less traffic is going to your Facebook Page and your small business website. If your posts are shared, liked, or commented on by people who like your Facebook Page, you’ll get a boost in the number of previews or views. Facebook prioritizes content that people interact with so if more people are sharing, liking and commenting (basically interacting) with your content, the more likely it will show up in your potential clients’ news feeds. 3. Content is not useful or engaging. Related to a lack of a marketing or content strategy, many companies post generic info about their small business or health care practice that is not useful or interesting to your potential clients. Or the content may not be engaging enough to get people to post a comment or to take any action. We’ve all seen the posts that have gone viral because the content is engaging (i.e. funny, serious, important, etc.) so I know it’s possible to have useful and engaging content on your small business website. Certain types of content are better than others. Are you posting only text, links, photos, videos, original content or other people’s content? Ask yourself, what are your words saying? Are your social media posts not getting any interactions because of the type of content you are posting? 4. Even when someone posts on your social media account, no one takes the time to respond. Social media is about creating conversations and maintaining conversations so that you can build relationships with people online. Imagine someone’s dismay if they respond to your post but no one from your business acknowledges their post. Or worse yet, what if an interested client is asking a question but nobody bothers to answer it? Can you imagine doing the same thing to someone you’re having a conversation with? Not only would that be odd, there wouldn’t be a foundation for a good relationship. If you don’t have time to respond to people who interact with you over social media, you should not even bother posting on places like Facebook, Instagram, and Twitter. Walmart knows they need to answer comments and questions on their Facebook Page. Are you answering or talking with your clients? 5. Not addressing any concerns or issues brought up to you on your social media account. Again, just like with #4, you really don’t want to be ignoring any comments or reactions, especially those that could have a negative impact on your brand image. More and more, clients are using social media to reach out to brands and small businesses to let them know how to improve or if there has been a problem. By ignoring feedback, you’re giving up an opportunity to improve your business and engage in positive dialogue with your client. Not acknowledging negative comments on your social media accounts makes your small business appear disinterested in the client experience. Even Elon Musk gets involved in addressing problems or concerns raised by Tesla customers who post on social media. What’s even worse is that a negative post can sit on the internet and be seen over and over again by potential clients who may not call you because they’ve been given a negative impression. Deleting negative comments makes people upset or deleting may not even be an option, depending on the social media channel you’re using. Always reply or at least acknowledge to a negative post or comment about you or your small business. By interacting with you, your clients are giving you an opportunity to improve. Negative posts can make a lasting, negative impression if they aren’t dealt with properly. 6. You’re using too many social media platforms. Maybe you’re posting all the same content on all of the social media channels. Or maybe you’re using all of the social media channels but start getting fatigue and stop posting. Either way, it may be a sign that you’re using too many social media platforms. If you aren’t posting strategically on all of your chosen social media platforms, then you’ll likely see little to no ROI from your social media efforts. The social media platforms you choose need to be in line with your marketing strategy, particularly your target market. Focusing on less social media channels means you’ll have more time to focus on the ones that matter to you and your marketing strategy, which will mean better ROI if you have a solid strategy in place. 7. You can’t keep up with the constant changes in your social media accounts. Let’s face it, there are constant changes that are being announced by the big social media companies. Even for a marketing specialist like myself, I’m constantly bombarded with emails and updates about the latest changes from Facebook, Instagram, YouTube, and Twitter. That’s not even talking about all of Google’s changes with their Google Ad platform, Google My Business, and their search algorithms. Each time a company changes their algorithms or a feature means another learning curve for you and your small business. Are you keeping up and leveraging the latest features to your advantage? AdEspresso by Hootsuite detailed the latest Instagram updates in July 2018. 8. You’ve got really poor grammar or spelling. This is truly a pet peeve of mine. You’ll probably tell me it doesn’t really matter if someone spells something wrong or uses incorrect grammar. I know I’m guilty of it from time to time. The thing that irks me the most is when you’re trying to #hashtag and your spelling is wrong. If you’re hashtagging so that people can find you based on the hashtag but you spell the hashtag wrong, how will people find you? You might have created a brand new hashtag that only you are using, which means its unlikely to attract a significant number of searches. You might as well not have bothered to hashtag your post. Example of poor spelling affecting your Instagram posts. There’s only 3 posts under this hashtag. Example of correct spelling when hashtagging. Look at the number of photos under this hashtag! 9. Using generic hashtags that don’t mean anything. While we’re on the subject of hashtags, another thing I see quite often is generic hashtags that don’t mean anything and aren’t relevant to your business. I understand that you want your business to be fun and interesting but generic hashtags won’t help your business because you aren’t using your hashtags to help you categorize your content. If a generic hashtag like “#ugh” is used for any of your business-related content, then you may be attracting a lot of people who aren’t interested in your product or service, or you’ll be lost in a sea of #ugh posts. Get away from vague hashtags like #new, #website, and #ugh. How about a hashtag for your brand? 10. You’re not a marketing professional who specializes in social media. We’ve all seen those job posts that ask for a receptionist/social media person to help with their healthcare practice or their small business. The ideal person is expected to be both an excellent receptionist and also someone who will post regularly on social media. Unfortunately, hiring someone who has experience posting on social media for personal reasons and for someone who uses social media as part of a marketing strategy requires totally different skillsets. In this job posting example, what percentage of time would be dedicated to your marketing and social media? I’m assuming that in most healthcare offices, that patients walking in through the door would take priority over social media posts. 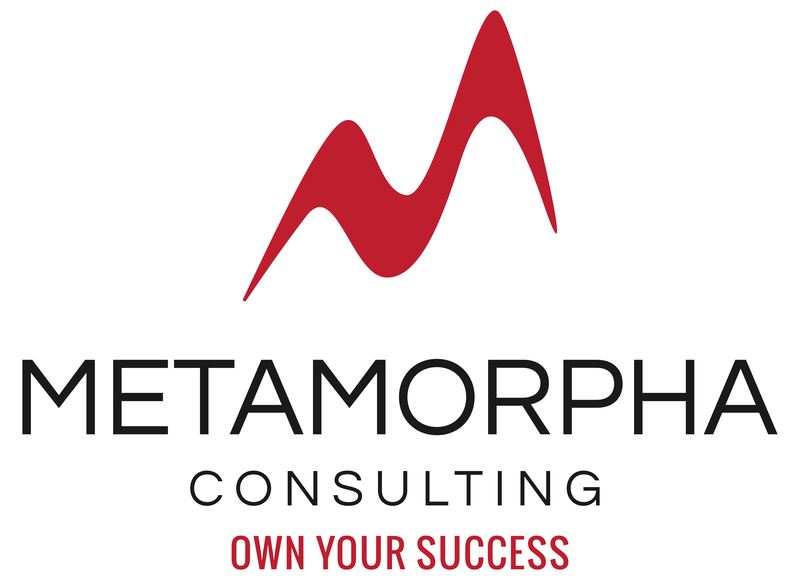 A marketing specialist like Metamorpha Consulting specializes only in marketing healthcare practices and small businesses, which means we have lots of experience in using these social media channels and developing marketing strategies to make sure you are getting the best ROI for your practice. We can save you the headache of managing your accounts and maximize the number of interactions you get on social media. Please contact us for a free consultation call. In a future post, we will detail more how you can make your social media posts better. Got more examples of poor social media accounts? Feel free to comment about what else you’ve seen out there in the social media world!